No matter how big and functional your kitchen is, if it’s outdated, then there is a high probability that it doesn’t satisfy all you’re needs. You have are probably been dreaming of a new kitchen for years but always thought that such a makeover cost tens of thousands of dollars. Therefore, redecorating the kitchen is low on your priority list, as family and utility issue takes precedence. However, updating your kitchens doesn’t have to cost you an arm and a leg since there are numerous hacks to decrease the total cost. 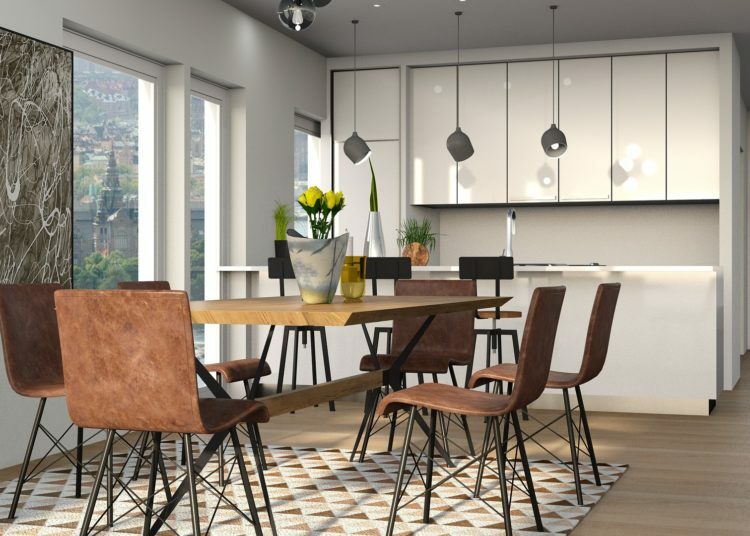 Instead of having to repair one part of the kitchen after another, go for a more thorough upgrade that you yourself could carry out within a limited budget. If you’re wondering what steps to take, here are just some tips that you might find useful. Cabinets that hang above the countertop are, aesthetically speaking, one of the most important aspects of the kitchen space. 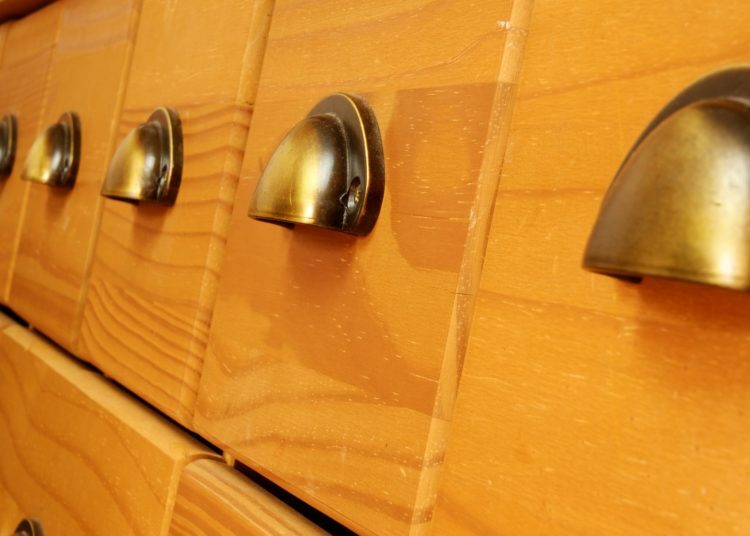 Back in the day, they were made from solid wood, including cabinet doors. There is nothing wrong with this material, it’s just that the times have changed and a non-transparent wooden cabinet door is so 20th century. What you really need are glass doors that are not that expensive to custom make. They can be fitted onto existing sockets, so all you really need is the glass. If you are worried about privacy, the glass can be frosted, thus decreasing see-throughness. 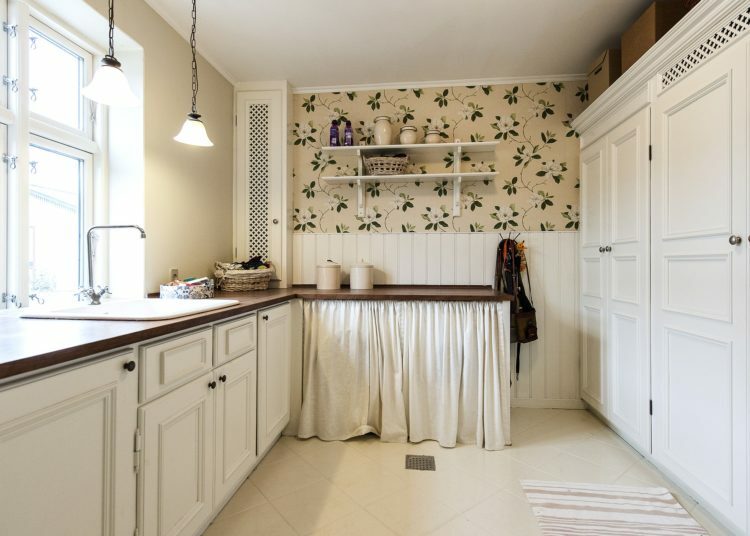 Quite obviously, the quickest way to redesign the kitchen is to have the walls painted in a different color. 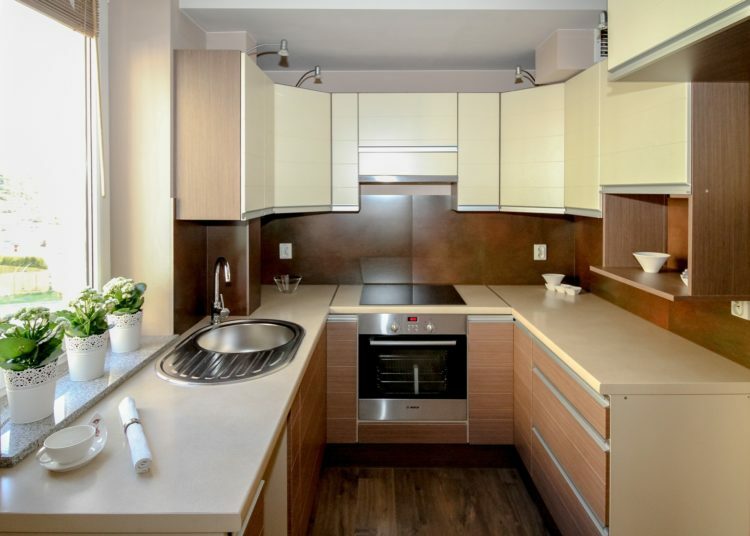 This operation will take a single day to complete for small to medium kitchens but the effect will be instantaneous, as people will be taken aback by the new atmosphere. Since kitchen walls are prone to getting dirty, light colors are not the best option, so go for neutral or dark hues, like soothing grey or even black. Since minimalism is trendy today, make sure that each and every square inch of your kitchen is well-used. This means that if there is room for several trash cans, you can remove the old cumbersome one and install several containers to collect recyclables. Not only will our planet be thankful but you will fill the empty space. As far as vertical space is concerned, cabinets usually hang at least a meter below the height of the ceiling. 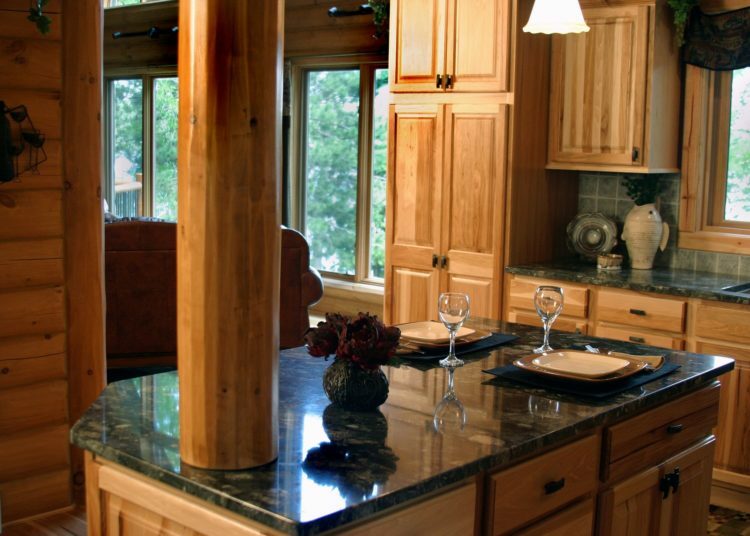 This area is only good for collecting dust, so you can install wood molding and trim to extend the cabinets up to the ceiling. “The devil is in the details,” and in the kitchen, the most prominent details are the handles and pulls. They were all shiny when they were made but probably stopped glowing after a while. That is why you should polish them to restore their old shine. They will be the first thing you notice in the kitchen and give out a sense of novelty. Replace any broken or malfunctioning handles and have the opaque ones nickeled so they too would shine. 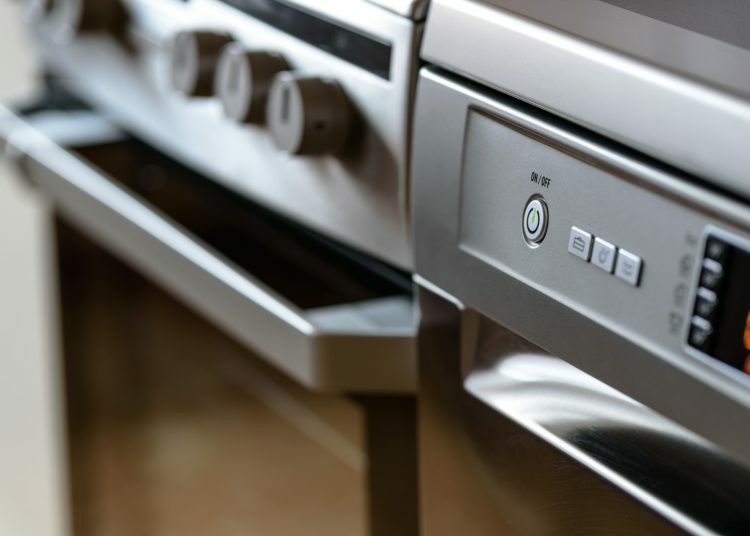 The costliest items in any kitchen restoration are the appliances that have to be bought brand new; or do they? In reality, there is no need to spend hundreds of dollars on the new dishwasher or a mixer, as the old ones can be spruced up a bit. Start by carefully cleaning them from the outside and then have them decorated or repainted. If they are broken, just replace the broken parts as affordable appliance spares can nowadays be found online. Just remember that all electrical work has to be carried out by a licensed electrician; no DIY installation where electricity is involved! Bare kitchen floors are bad for two reasons. Firstly, they are unsafe as the slightest of spills can cause you to slip and fall and secondly, bare tile floors are just plain ugly. Even a simple mat that is placed in front of the kitchen sink can do wonders for the entire space. Not only will you not risk slipping but if the mat’s design is right, it could lighten up the atmosphere of the entire room. We hope that by now you realize how easy it is to upgrade your kitchen without having to spend a fortune. Basic repair work and attention to details can usher the 21st century in your kitchen.